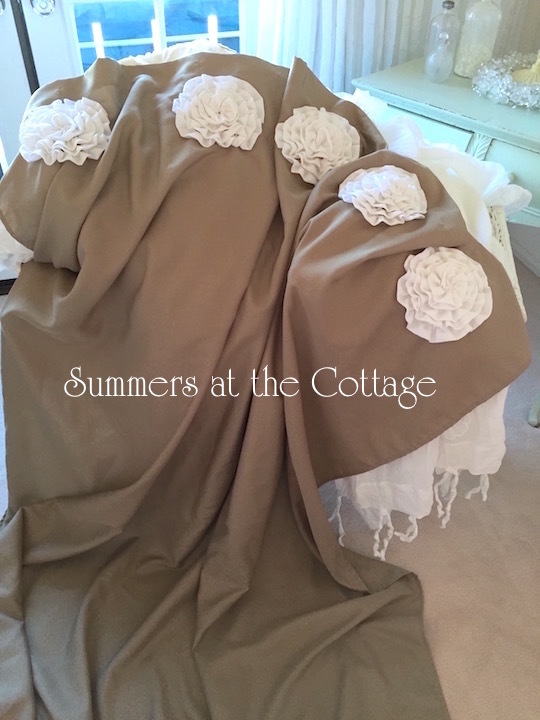 White Ruffled Roses adorn this wonderful fabric shower curtain in mocha brown. 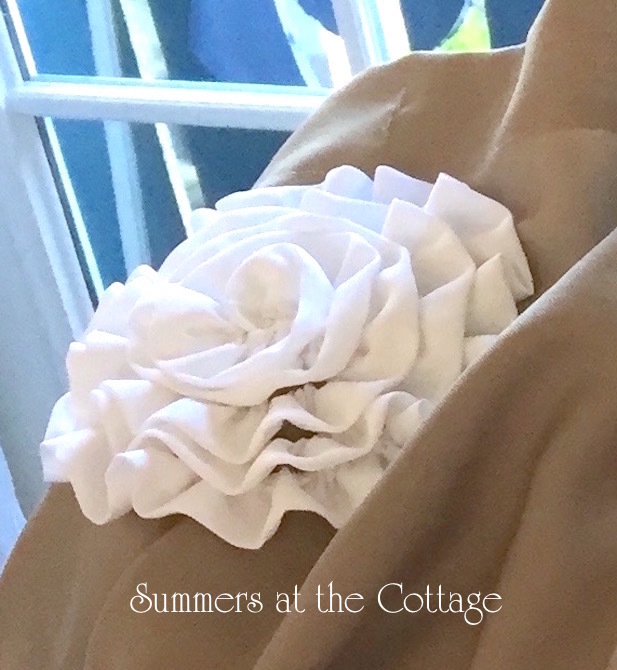 Perfect for a Farmhouse, French Country Cottage, or Shabby Chic home. This fabric shower curtain will add charm to any bath! Brand new. Measures 72 x 72 inches. Machine wash and dry. 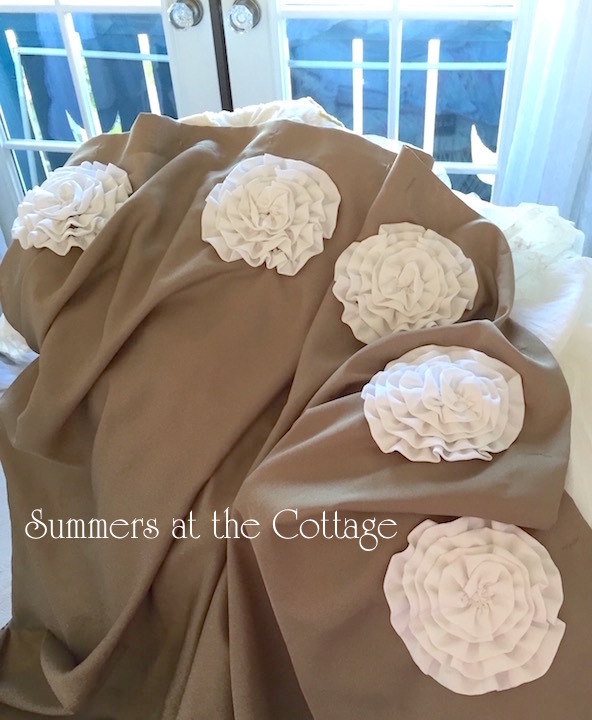 Polyester fabric with five big whimsical cottage ruffled flowers!